The Tuesday terrorist attack at the Istanbul airport could have been prevented with effective cooperation among countries, head of Russian delegation to the Parliamentary Assembly of the Organization for Security and Co-operation in Europe (OSCE PA) Nikolai Kovalev, said Saturday. Eleven foreign nationals suspected of involvement in the recent terrorist attack in Istanbul have been detained, raising the total number of detainees to 24, Haberturk television reported Friday. Turkish police detained 20 individuals suspected of involvement in the deadly attacks on the airport in the country's largest city, Istanbul, local Daily Sabah newspaper reported Thursday. Central Intelligence Agency Director John Brennan said he would be surprised if Daesh did not try to stage Istanbul’s airport-style attack in the United States. 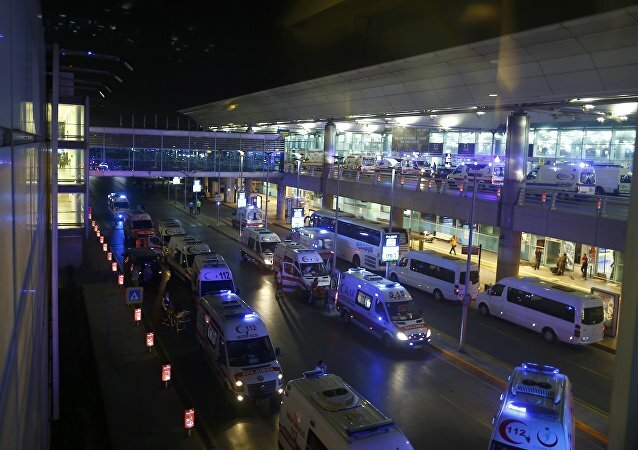 At least one Canadian citizen was injured in a series of suicide blasts in Istanbul’s Ataturk international airport on Tuesday, CBC News reported. Ankara is employing all the necessary measures to prevent terrorists from entering the country from Syria, the head of the Turkish delegation to Parliamentary Assembly of the Black Sea Economic Cooperation (PABSEC), Ramazan Can, said Wednesday. Vladimir Putin expressed his condolences to the Turkish people following a deadly terrorist attack on Istanbul's Ataturk airport which killed 36 and wounded over 140. Turkish authorities believe that Tuesday's attack at Istanbul's Ataturk airport was carried out by foreign nationals, Cumhuriyet newspaper reported Wednesday. The Istanbul airport attack was aimed at disrupting Turkey's attempts to mend relations with Russia and Israel, Konstantin Kosachev, the chairman of the Foreign Affairs Committee of the Russian parliament's upper house, said Wednesday. One foreign citizen is among the 27 victims so far identified after Tuesday's terrorist attack in Istanbul, local broadcaster NTV reported Wednesday. Russia's Federal Air Transport Agency is not going to recommend air carriers to suspend flights to Turkey despite a deadly terrorist attack on Istanbul's Ataturk airport on Tuesday. Suicide bombing and gun attack at Istanbul’s Ataturk international airport left 36 people dead and 147 injured on Tuesday. 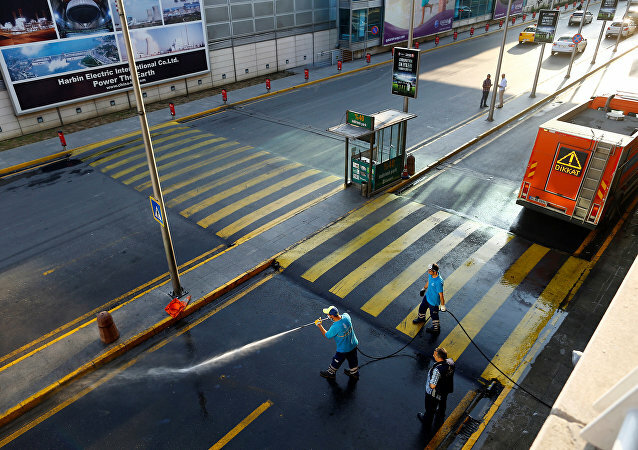 A Russian national was among the wounded in the Istanbul airport terrorist attack on Tuesday.